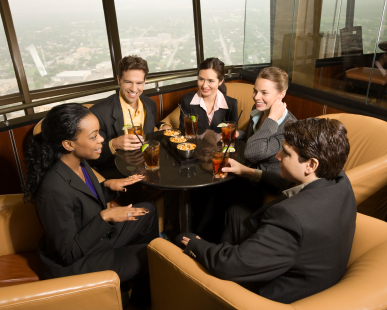 Professional Peers Connect works to jumpstart relationships between accountants and attorneys by creating a safe and relaxed environment for accounting partners and senior managers, and attorneys at the same levels to meet, share ideas and discuss issues that they face on a regular basis. Here's how it works. Each accounting firm is introduced to six law firms and vice versa. Each participating firm chooses a minimum of six (6) senior managers or partners to take part in the program. Each individual will be asked to complete a short online survey so that we can best match professionals with peers at complementary firms. These matches are based on both professional and personal interests and attributes. Professional Peers Connect then conducts an in-depth orientation session for each firm which explains the value of relationship building as well as the mechanics of the program. Following this session, Professional Peers Connect will arrange a series of meetings and/or meals where up to six people from both accounting and law firms will meet to begin the process of developing and fostering relationships. Our services include making the most strategic matches; arranging meals; following up; gathering feedback; and generally fostering the delicate nature of new relationships.